Directions: The biggest nearby city with an international airport is Cochin in the state of Kerala. From here, it is about a 2 hour drive north-east to the Sholayar Wildlife Preserve via Chalakudy. 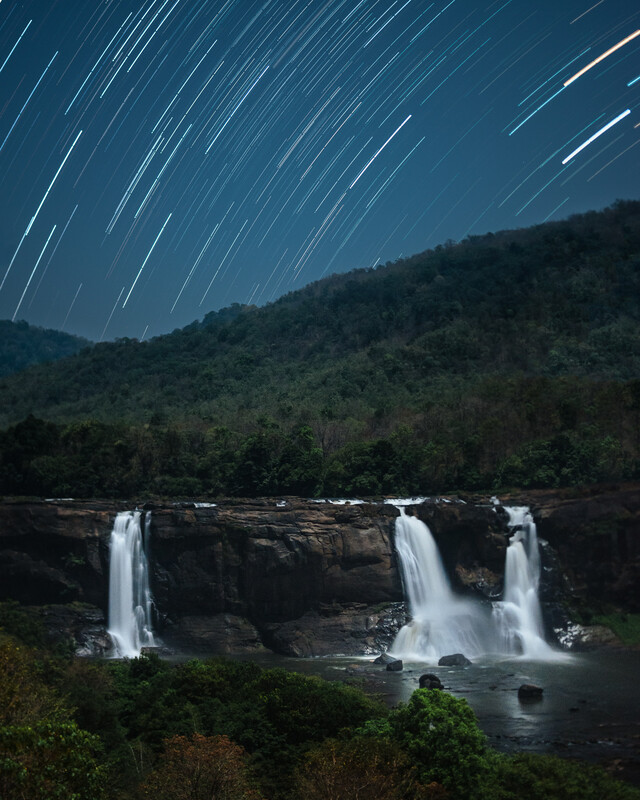 The Athirapally waterfalls are the largest waterfalls in Kerala and are nicknamed the “Niagara of India”. It is located in a wildlife preserve so the main access to the waterfalls is only in a restricted access area. You can walk along the top of the waterfalls and then come down and view the left side of the falls up close. But this is quite a massive waterfall so it’s quite hard to get a full view of the waterfalls. Hiking into the forest is restricted as the forested area is home to a lot of wildlife, the most obviously dangerous being elephants. So to get a good view of the waterfalls, it is necessary to find another vantage point. It is possible to view it from sections along the main road. However, there is a well known hotel in the area called the Rainforest which has a fabulous view of the waterfalls. It is expensive by Indian tourists but it is quite common for passersby to stop at this restaurant and have a coffee or tea and a snack while soaking in the glorious view. I stayed the night at the hotel and was able to shoot this in the early morning. The early morning light can be quite nice although it falls directly over the waterfall. The first light soaks up the hills above it and slowly rolls over the falls into the valley below. There is a fine line and a bit of luck involved to get an image which isn’t too contrasty at the right balance. Evening light can also be tricky because the waterfalls sits in a valley so the hills in front block any direct light. If close to the waterfall, the spray from the falls is quite strong so carry a microfiber to wipe your lens clean if necessary. The falls are filled with water in the latter months of the year after the heavy monsoons. December and January are typically the coolest months of the year (relatively) and the most pleasant times to visit and not be scorched by the sun. After February, it starts to become quite brutally hot until the monsoons begin around June.